Have You Tried Everything But Still Deal With Pain Constantly? We have helped others just like you transform their lives through proper treatment and education. It's time to try a new solution and we can provide the results you need! Myofascial Release differs from massage, physical therapy, chiropractic care and others types of bodywork. Myofascial Release, or MFR for short, works with the body’s fascia. Fascia is the body’s connective tissue. Think about it as a three dimensional web that is found throughout the entire body. The FREEDOM FROM PAIN INTENSIVE is for chronic or constant pain when traditional treatments have failed and you are ready to start a new journey towards wellness. It is a specially designed one- to- two week-long intensive to overcome pain and immobility. 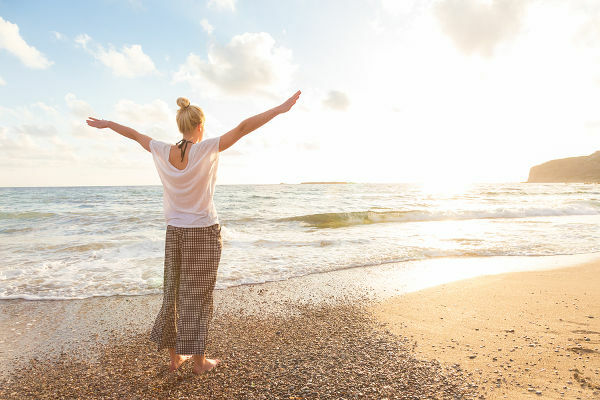 The PAIN-FREE AND JOYFUL LIFE PROGRAM is a proven holistic path to wellness using Myofascial Release Sessions, support/coaching calls, and powerful life-long tools that will connect you with your calm, centered, true self. This two-hour workshop will help you to reduce tension and pain and find your inner calm on your healing journey. *This workshop is suited for those who have received an individual treatment with our practitioners. The 4-WEEK MYOFASCIAL STRETCH SERIES is designed to empower you to release your own fascial restrictions using gentle, effective stretches and self-treatment tools. “I have suffered chronic back problems since my late 20’s when I first began seeing a chiropractor to address pain. I have mild scoliosis, slightly externally rotated hips and a bit of a bowed right leg (all passed on from my mother’s family, such nice gifts). It sounds worse than it is (I can assure you that I do not hobble with a cane, my challenges are not visible to others), but it has made it necessary for me to attend to my spinal health. Physical therapy, massage, acupuncture and chiropractic helped, but did not fully solve the problem. In fact, my relief from chiropractic was temporary as my body was not able to hold the adjustment. It was frustrating. I had exploratory call with Jessica, explained to her what was going on, and she said I would be a perfect candidate for the 90-day comprehensive treatment and coaching program with unwinding session.It sounded good. I paused when I heard the price, but I thought I needed to give this a try to see if treating my fascia was the missing link that held me back.Halfway through the 90-day program, I was thrilled to discover that I could do a full forward fold and I had greatly improved in my seated forward fold in yoga (I could barely bend forward from a seated position before, my lower back was so restricted). So my pain was greatly reduced, my yoga practice improved and I learned how to do self-treatment at home, so I was taking responsibility for releasing my fascia, not just expecting Jessica and Cindy to work miracles. I also was delighted that my chiropractic adjustments hold. Five or more years ago during my annual physical, I was dismayed to learn that I had lost an inch of height. “That’s typical with age,” I was told. About year or so ago, by stretching out my body with yoga and Pilates, I had gained back half an inch. Myofascial Release is the missing link in healthcare today for long lasting pain relief. Myofascial Release treats the whole person and whole body not focusing on the symptom areas. It is a different approach that gets to the root of the pain. It is a safe, comprehensive and effective mind/body therapy. Our goal is to return you to living pain-free and life to the fullest! And More! Click to View All Conditions Treated. Ready to get started? Book your appointment online or call us at (978) 548-6475. If you have any questions, feel free to contact us to talk!